Dj. Chus, Dirty harris, Sinisa Tamamovic & Eddie Amador, Luigi Rocca, Manuel De La Mare, Pagano and more. Hey Eddy, I just adore the start to this mix, so mysterious with the storm, smokin&apos; harmonica and some serious tribal drums!!! Love it, love it, love it!! Makes me wanna be with you in Chang Mai! Cheers. Big thanks for liking my Skeleton Drummer mix set. I appreciated your comments and support which totally encourages and delights me. But for now I forgot the password for the previous account, I couldn’t access no more. 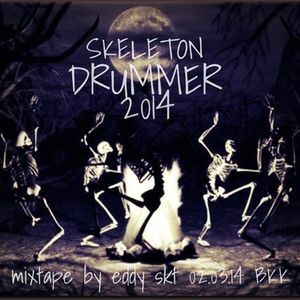 So I created my new one “EDDY SKT 2” as I uploaded Skeleton Drummer Vol.2 here already. The vol.2 may not as uplifting as the vol.1 but brought more sense of darker atmospheric. Please check it out and leave me the comments I would be very happy to hear it from you. Thanks again! Bye! My idol naaa / For us music can make this world smile naa !! Opa Locka&apos;s the jam. I&apos;ve used it several times. :) You totally ran it from 9 all the way out. Sick jams!
" ... Good Night Ka ... "